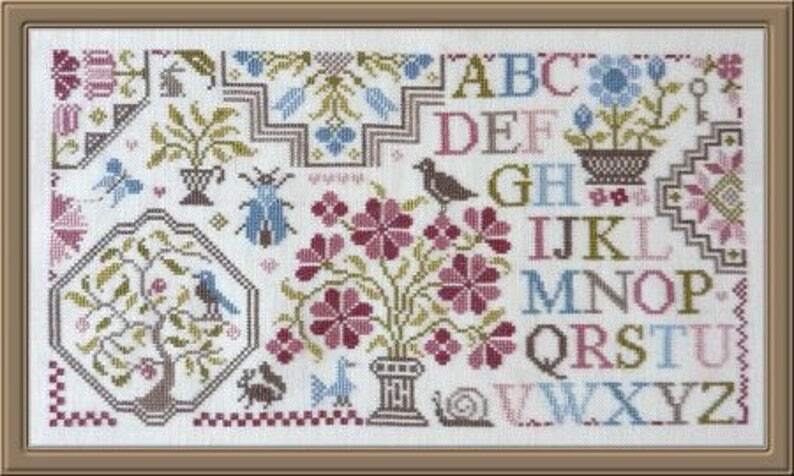 Quaker Sampler of Flowers 3 – French counted cross stitch chart to work in 9 colours of DMC threads. This design can be stitched alone (Photo 1) or buy the 2 other Quaker Sampler of Flower designs which are shown in photo 2 to make a Sampler 472 x 104 stitches. Bird Quaker – French counted cross stitch chart to work in 2 colours of threads. Quaker style cross stitch Sampler.